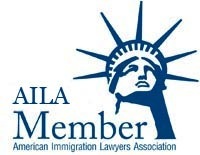 USCIS should be adjudicating, on an individual, case-by-case basis—properly filed pending DACA initial and renewal requests and associated applications for Employment Authorization Documents that have been accepted by the Department as properly filed. USCIS will reject improper or untimely filings, in keeping with any policy or guidance (including any federal court orders) in effect at the time of receipt of any DACA application. “Deferred Action”, also referred to commonly as “DACA”, amounts to an excercise of favorable discretion by the authorities, which allows an individual to remain temporarily in the United States and apply for work authorization. It does not confer any kind of permanent residence, nor can it be seen as a form of amnesty. Under this new initiative, deferred action would be granted for two year increments and would be renewable. Individuals were able to begin to request consideration of deferred action for childhood arrivals on or after August 15, 2012. Effective immediately, ICE, CBP, and USCIS agents should not place individuals into removal proceedings who meet the above criteria. For those already IN immigration proceedings and who have been offered administrative closure under the previous prosecutorial discretion program, ICE will begin making determinations about deferred action immediately. For other persons who are in removal proceedings, ICE is directed to implement the program within 60 days. For those NOT in removal proceedings, which is the vast majority of individuals affected by the new announcement, USCIS has been directed to devise a plan within 60 days that allows people 15 and older to affirmatively apply for both deferred action and work authorization (those granted deferred action through ICE will apply to USCIS for work authorization as well). People with final orders of removal will also apply to USCIS. Individuals requesting consideration of deferred action for childhood arrivals must submit Form I-821D, Consideration of Deferred Action for Childhood Arrivals, Form I-765, Application for Employment Authorization (with accompanying fees); and an I-765WS, Worksheet. Pingback: USCIS Begins Accepting Requests for Consideration of Deferred Action. 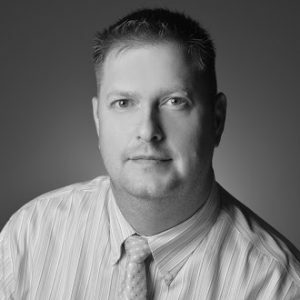 | Law Offices of Steven A. Culbreath, P.A. Pingback: DHS/USCIS Begins Accepting DEFFERED ACTION Cases Today. 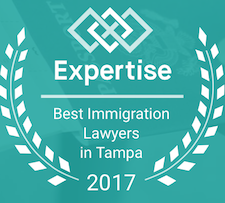 | "IMMIGRATION LAW CONNECTION" | -- A blog on all things related to U.S. Immigration Law by Steven A. Culbreath, Esq. Pingback: Do I really need a lawyer to file for DACA??? | Law Offices of Steven A. Culbreath, P.A. Pingback: Some Helpful DACA-Tips for DIY. | Law Offices of Steven A. Culbreath, P.A.